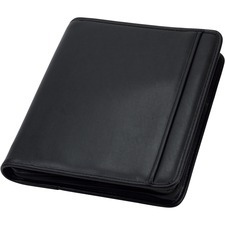 Sterling Zipper Binder offers softly padded vinyl with the look and feel of napa leather. Softly lined interior pocket is perfect for your iPad and other tablets up to 10.1." Wraparound zipper provides security for important documents. 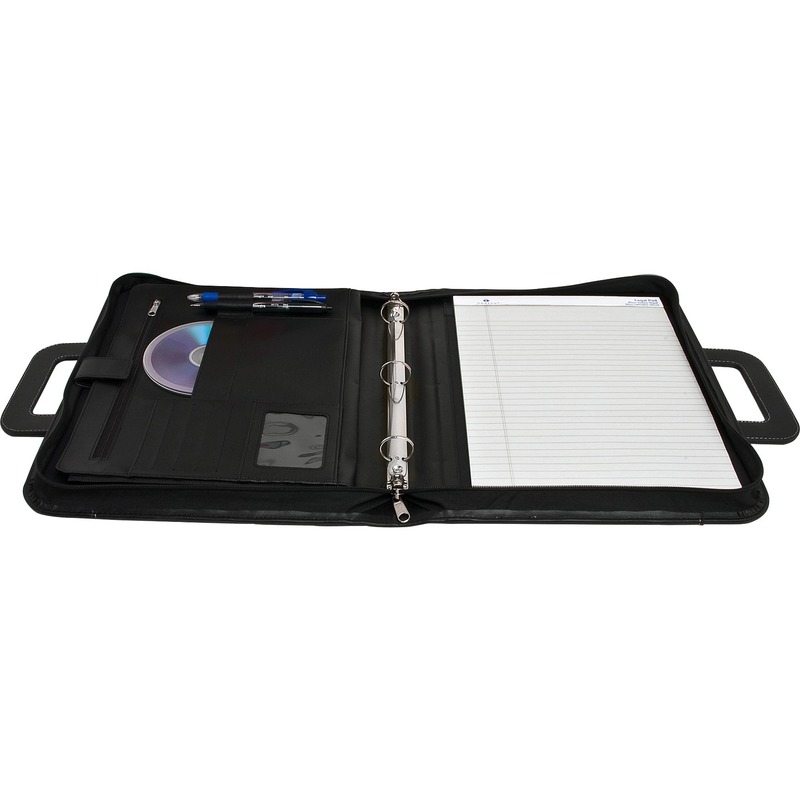 Design also offers sleek radius corners, two full-length exterior storage pockets, interior expandable document pocket, zipper security compartment, business card and CD pockets, pen loop, 1" metal rings for loose-leaf pages and a letter-size writing pad.